Sal-Site: integrating new and existing ambystomatid salamander research and informational resources. Title Sal-Site: integrating new and existing ambystomatid salamander research and informational resources. Salamanders of the genus Ambystoma are a unique model organism system because they enable natural history and biomedical research in the laboratory or field. We developed Sal-Site to integrate new and existing ambystomatid salamander research resources in support of this model system. 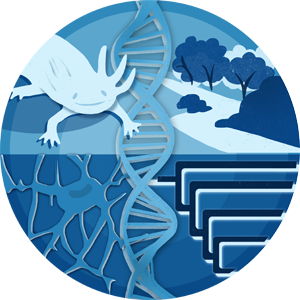 Sal-Site hosts six important resources: 1) Salamander Genome Project: an information-based web-site describing progress in genome resource development, 2) Ambystoma EST Database: a database of manually edited and analyzed contigs assembled from ESTs that were collected from A. tigrinum tigrinum and A. mexicanum, 3) Ambystoma Gene Collection: a database containing full-length protein-coding sequences, 4) Ambystoma Map and Marker Collection: an image and database resource that shows the location of mapped markers on linkage groups, provides information about markers, and provides integrating links to Ambystoma EST Database and Ambystoma Gene Collection databases, 5) Ambystoma Genetic Stock Center: a website and collection of databases that describe an NSF funded salamander rearing facility that generates and distributes biological materials to researchers and educators throughout the world, and 6) Ambystoma Research Coordination Network: a web-site detailing current research projects and activities involving an international group of researchers. Sal-Site is accessible at http://www.ambystoma.org.